Skyline Roofing & Exteriors is a full service, licensed and insured roofing and general contractor in the State of Colorado. While we’re experts in putting on roofs, our services don’t stop there – we also paint exteriors and install siding, gutters, windows, and all types of doors. No matter the home exterior need, we can be your go-to general contractor. Siding: We are confident that we can provide your home with siding that is both attractive and effective at protecting your home, saving you money on repairs down the line. With our wide variety of siding, you are sure to find the perfect fit for your home. Gutters: Properly installed gutters are incredibly important for your home. Many home owners don’t prioritize their home’s water management system when they are considering home improvements, but installing good gutters can prevent a number of costly home repairs down the road. Painting: Our exterior painting professionals will provide you with quality paint job that lasts for years to come. We consistently get excellent results on our home painting jobs because we have a comprehensive approach to the task. Our multi-step painting process ensures that your home will look the way you expected when you ordered the job, and that it will continue to look that way for many years. 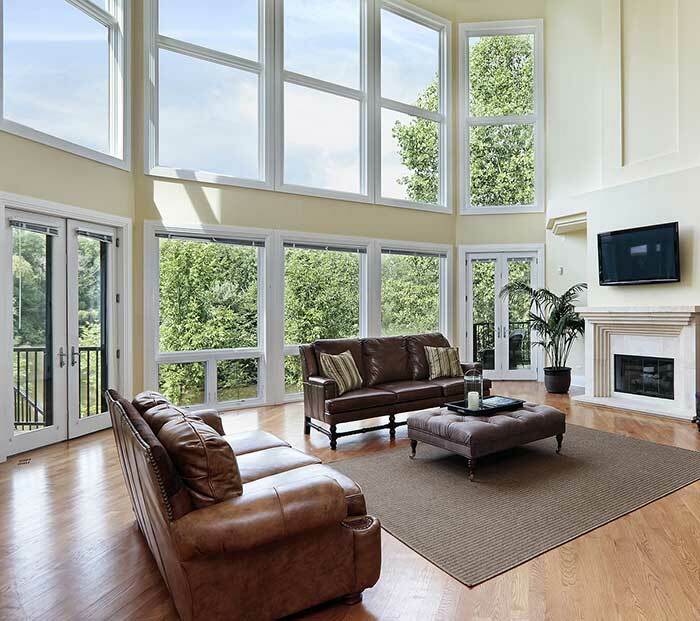 Windows: Skyline Roofing & Exteriors has an expansive selection of windows for you to choose from, from double-hung to casement to bay to “I want that one.” Skyline can get you the windows that perfectly suit you and your home. Doors: Skyline Roofing & Exteriors offers a variety of doors for any project that you may need to improve your home and its value. 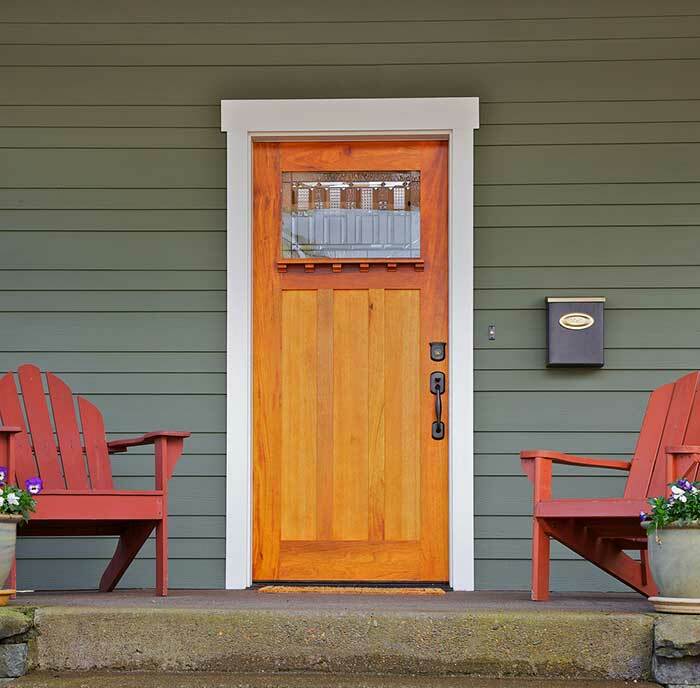 We have a large catalog of front doors, garage doors, storm doors, sliding patio doors, and more. After our door experts help you choose the door that will safeguard your home for years to come, our experienced installers will provide our comprehensive door installation service. Exteriors need to be tough to do battle with the elements, but your home should also have the look you want. Thankfully, in today’s day and age there are many stylish yet durable home exterior materials. Skyline Roofing & Exteriors uses premium materials. 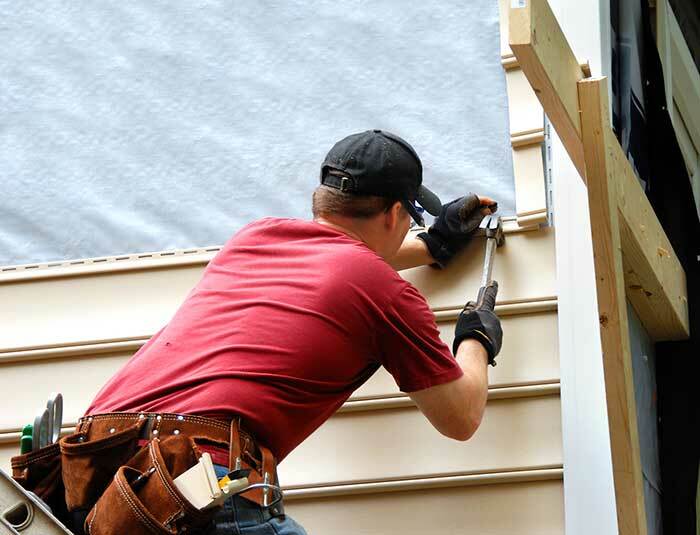 Siding brands include Heartland Vinyl Siding and Certainteed Siding. Window and door brands include AmeriMax, Simonton and Milgard. Painting products are from Sherwin Williams and Benjamin Moore. We’ll work with you to make sure your exterior is tough yet stylish.